Wildcats Leadership for Life, the Staley School’s alumni network, are excited to offer continued leadership development to all Staley School alumni and friends! 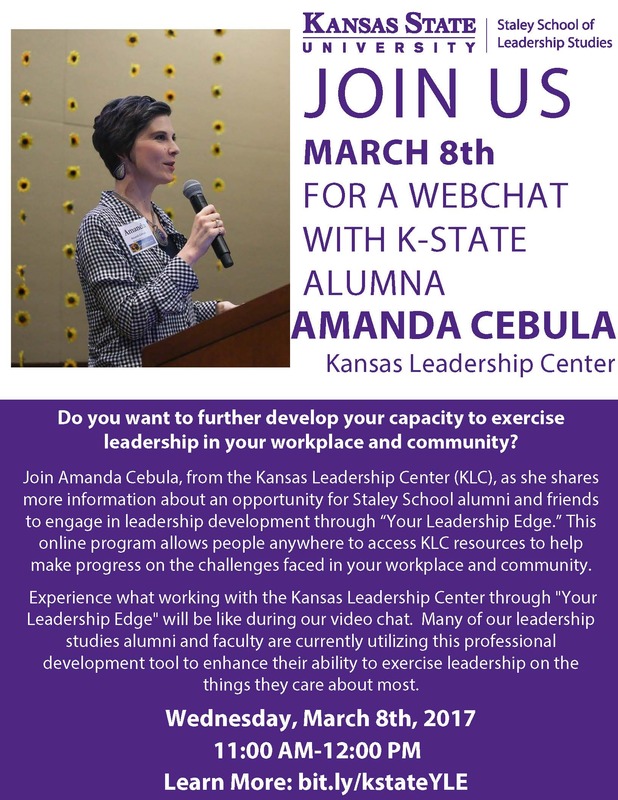 Join us for our next professional development event on March 8th, featuring K-State alumnus Amanda Cebula of the Kansas Leadership Center. Learn more here: bit.ly/kstateYLE!